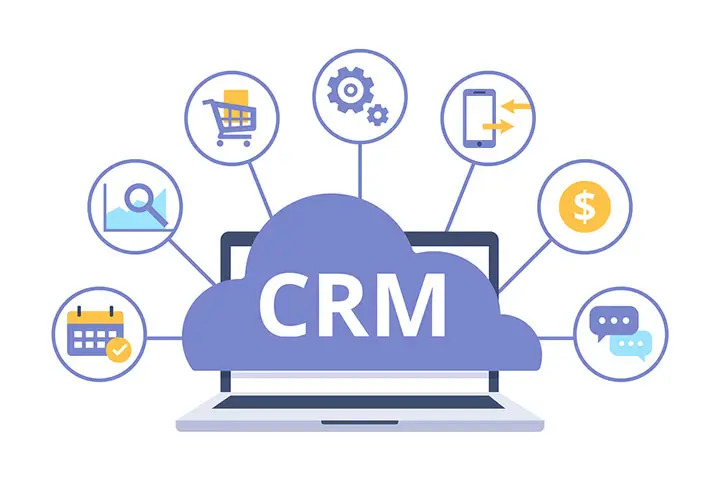 CRM stands for Customer Relationship Management, and it’s essential that when you are selling your promises of a better future to your prospects, you are able to keep manageable records for those sales. What are the benefits of a CRM system? The benefits of CRM systems are manifold, and here we list some of them so you can be assured you’re going in the right direction for the long-term relationship you’re building for your company and your customers. The customer doesn’t need to know very much about your company, its set-up, operations procedures, organisational hierarchy, investments and suchlike. It’s vital, though, that you build your knowledge and awareness of those details, and more, of the businesses you deal with. The overall experience the customer enjoys using your services will make or break future business opportunities, and the experience can be built around your record-keeping and use of knowledge through your CRM system. What about some other benefits of a CRM system for you? Customer knowledge is vital if you are to give a great support experience to your customers. A CRM system enables you to keep all relevant information about every department within their business. The real benefits of a CRM system occur when you’re able to categorise the information you glean about a business into one integral tool that allows anyone in your company to access sup-to-date information at the touch of a button. If the CRM system you use allows others to see information in the cloud, you don’t need to keep written records that can be easily mislaid or kept in just one salesperson’s file. The value of the data you amass will obviously become valuable as time progresses. As discussed above, the benefits of a CRM tool bring valuable information into one place. One clear advantage of this is the ability to expand the communication networks around your company and the customer’s. Imagine if your main contact left the customer’s company. A CRM tool allows you to maintain the relationship with any new person who joins so you don’t have to start again, building relationships. Everyone who ahs to deal with the company has easy access to information immediately, so communication within your own business becomes easy to monitor and address. Silos exist in companies mainly because of the lack of or poorly executed communication between teams. The benefit of a CRM system is that it reduces the impact of that poor communication because teams are able to share the same information and hence aim towards a clear overall experience that they want the customer to enjoy. All departments, including production, sales, admin, marketing and others, can have easy access to the information that will allow them to manage the sales process, right from pipeline management through to follow-up processes. The benefits of CRM become clear when many departments are able to synergise their services to match and exceed the needs and desires of the customer’s business. Imagine the customer experiences a problem that needs to be solved urgently. Instead of going through multiple hoops with your company, being passed from department to department, with information needing to be asked at every touchpoint, a CRM system that can be accessed by reception and one department will provide a seamless experience for the customer, as they see their query behind handled in a professional and data-driven way. The main benefits of a CRM system become evident when its information is being utilised by just one department for every enquiry. This builds confidence in your company by the customer, as they enjoy the results of your company working together and providing the quality of service that enhances loyalty, even if things do go wrong. The overall benefits of a robust CRM system can’t be overstated. Loyal customers are the lifeblood of your business and a quality system will allow you to provide people in your company with all the valued information they require, like organised data systems, streamlined communication and experiences that drive that loyalty. When you see the value of a CRM system and its benefits, you will want to use it at every conceivable opportunity to enable you to provide excellent service at every touchpoint you have with customers.